How Long Can An Aircon Typically Last? Like any other homeowner, it is a fact that you would like your aircon to last long. This is because a good one always cost a lot of cash. However, when you think about the important role that it plays in your house then the cost becomes nothing. It is a natural thing to want to get the best out of any investment that you have made. This is only possible if your aircon can last as long as you want. 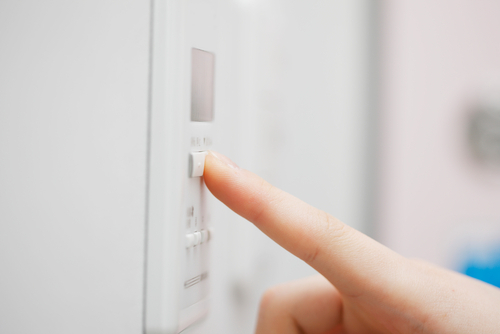 Fortunately, there several ways that can help your air conditioner last as long as possible. But how long can an aircon typically last? Normally, the life span of any aircon is between 8 – 15 years although some of them can last for up to 18 years. It is very important to know that there are a lot of factors that affect their lifespan. Ideally, when you buy an aircon, you may be given some rough estimate about how long it will last. But, you should not depend on this since some factors are beyond your control. The good thing is that if you buy a new aircon you are sure that it will last longer. · Location- This is one of the main factors that affect the lifespan of air conditioners. Aircons that are located in humid and hot areas do a lot more work than the ones that are located in areas with moderate temperatures, making them not to last long enough. Since they endure a lot more wear and tear, they are likely to last only for a few years. However, if you live in a cold winter area, your air conditioner is likely to last long. · Quality of components and parts- In an aircon, the quality of the parts and components matters a lot. While some of them are made of parts that tend to last long others are not. You can always get a feel of the longevity and durability of air conditioners by considering the warranties that often come along with them. Some compressors have good warranties but coils and air handlers rarely have these. Remember, if your aircon parts are not backed with good warranties your unit may not last long. · Quality of installation- This is also one of the most important determining factors when it comes to the lifespan of an air conditioner. If your system is properly installed it may not be susceptible to several breakdowns that can lead to repairs. This is why if you are considering buying a new unit you should ensure that you hire a professional to install it for you. · Type of the system- Although some may not last long, some of them are built to have a long lifespan. For example, if you buy a two stage aircon you should expect it to last for a longer period of time because it will not circle on and off often. When you are conscientious about taking care of them, aircons tend to have a longer lifespan. Unfortunately, many people do very little to maintain them. To be on the safe side, you should not fall into this pattern. You should diligently clean and maintain your conditioner on a regular basis. Although there are a number of things that you can do yourself if you are not sure, it is advisable to call a HV/AC company to handle them for you. 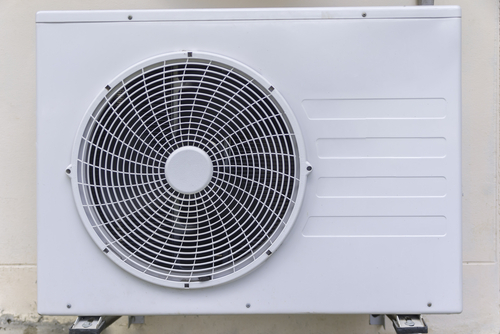 Here are some few ways to extend the lifespan of an aircon. · Clear the vents- you should ensure that the vets around our home are cleared. Ensure that you move the furniture, curtains, and any other obstructions that may hinder you. Remember, if your air conditioner is blocked by several items its efficiency will be greatly reduced. Ideally, forcing it to remain on may cause unnecessary wear and tear that can really affect it in the long run. Also, if your home is too stuffy you should open the windows and turn on a few fans. · Carry out routine cleaning- air conditioners have compressors that are located in the outdoor portion of the system. Essentially, it is quite possible for things such as cottonwood seeds to work their way inside and clog the coils. If this continues for some time the efficiency of the air conditioner will be greatly reduced. You should hire the services of an HV/AC company to clean them for you. Although a garden hose can work perfectly well you should not aim it directly at the coil. This can determine how long can an aircon typically last. · Duct cleanings- apart from cleaning the air conditioner regularly you should also have the ducts around your home cleaned. When these gets dirty the quality of air conditioners tends to go down. As a matter of fact, this added strain can eventually shorten their lifespan and make them last for only a few years. This might also increase your energy bills. You will be amazed at how much its efficiency will be improved after carrying out duct cleaning. · Regular inspections- prior to any change of weather, it’s important that you be aware of any problem that your conditioner might be having. By calling a technician to carry out an inspection you will ensure that the conditioner is properly charged to minimize unnecessary stress on other components. Besides, he will also carry out a thorough inspection on other components as well. You should note that something as simple as a loose part may cause a lot of problems. You may try to hold off as long as possible before purchasing a new conditioner but this might not be the best step since it may be too costly to continue using something that is not efficient. For instance, if your system has lasted for 8 to 15 years and keeps on breaking down maybe its high time you bought a new one. You should consider it as an investment. Although you will spend a lot of money in purchasing a new one, it will be worth all the effort.